This page lists all of Aunt Annie's ePaper downloads and more craft goodies! Browse the ePapers then see the printables and project extras below. Adinkra Symbols series (Feb 27, 2019) - This series of ePapers feature Adinkra symbols from the people of Ghana in west Africa. The yellow ePaper features Adinkra Sankofa, an Asante symbol of learning from the past. The orange ePaper features Adinkra Mate Masie, an Asante symbol of wisdom with prudence. The red ePaper features various Adinkra symbols. Use the ePapers to decorate The Achi Game Board or to make accessories for the game. Adinkra Signs (Sep 5, 2018) - These ePapers feature Adinkra signs from the Twi people of Ghana in west Africa. The blue ePaper features Adinkra Mframadan, a symbol of fortitude and preparedness. The green ePaper features Adinkra Adinkrahene, a symbol of leadership and greatness. The purple ePaper features Adinkra Dwennimmen, a symbol of humility and strength. The brown ePaper features Adinkra Gye Nyame, a symbol representing a deep faith in God and is the most popular symbol used for decoration in Ghana. Use the ePapers to decorate a paper version of The Game of Mancala or to make cards or boxes. Asante Tribe Symbols ePaper (Sep 11, 2013) - Download and print these digital papers that feature Adinkra symbols from the Asante people of Ghana in west Africa. The yellow ePaper features Adinkra Ananse-ntontan, "spider's web", a symbol of wisdom, creativity and the complexities of life. The green ePaper features Adinkra Nyame-nti, a symbol of faith and trust in God. The red ePaper features Adinkra Nyame-biribi, a symbol of hope. Use the ePapers to make or decorate a Five-Sided Box or other boxes. Triangle Patchwork ePaper (Sep 9, 2015) - Use these ePapers, Triangle Patchwork Solid and Triangle Patchwork Sandstone, to make Four Patch Cards or other card featured in the Greeting Card Class tutorials. These digital papers coordinate well with the Adinkra Nyame-biribi ePaper and other Asante Tribe Symbols ePapers. Assorted Tranquil Circles (Jan 22, 2019) - Download and print the 1" Yellow Tranquil Circles, 1" Orange Tranquil Circles, 1" Blue Tranquil Circles, 1.5" Yellow Tranquil Circles, 1.5" Orange Tranquil Circles, 1.5" Blue Tranquil Circles, 2" Yellow Tranquil Circles, 2" Orange Tranquil Circles and 2" Blue Tranquil Circles ePapers, and then follow the instructions in the Greeting Card Case craft project to make storage for your handmade cards or use the papers to make Repeat Cards by repeating the circles. These ePapers also coordinate with the colored and circle design patterns in the Greeting Card Case craft project and can be used as linings or covers. These ePapers also coordinate with the Green Tranquil Circles ePapers. Green Tranquil Circles (Nov 19, 2014) - Download and print the 1" Green Tranquil Circles, 1.5" Green Tranquil Circles and 2" Green Tranquil Circles ePapers, and then follow the instructions in the Waxing Paper craft project to make translucent waxed paper. Punch circles from the paper to use in your crafts, create cookie bags or make a shade for a Luminaria. These ePapers coordinate with the Assorted Tranquil Circles ePapers. Halloween Ribbon ePaper (Oct 17, 2018) - Use these paper ribbons to decorate Halloween Trick or Treat Bags, in Ghost Garlands, or in scrapbooking or other paper crafts. This ePaper coordinates with all digital papers for Halloween. Sky Blue Dots series (Oct 3, 2018) - This series of ePapers features sky blue backgrounds with dots and can be used singly or together in any of your crafts. Download and print the Paper Airplanes on Sky Blue, Sky Blue Dots on Blue and Sky Blue and Yellow Dots ePapers to make a Floating Wing Glider Paper Airplane or handmade greeting cards. Or use the Sky Blue and More Yellow Dots and Yellow Dots on Sky Blue ePapers to make an Easy Party Favor Bag and coordinating Boxes and Bags. Sky Blue Mixed Dots (Sep 4, 2013) - Download and print Sky Blue Mixed Dots, Sky Blue Mixed Dots on Yellow or Sky Blue Mixed Dots on Blue digital papers. These ePapers with dots in mixed colors and sizes combine well with yellow or blue colored paper to make Four Patch Cards! Flashy Dots on Sky Blue (Oct 3, 2018) - Use the Green Dots on Sky Blue, Pink Dots on Sky Blue and Lime Dots on Sky Blue digital papers to bind a Notebook or a Paper Notepad for keeping track of your results in the Paper Airplane Experiment: Balancing Lift and Weight. All these ePapers also coordinate with the Clouds in blue sky ePaper. Marbled Heart Stones (Aug 15, 2018) - Use this marbled ePaper to make Four Patch Cards or other greeting cards in the Greeting Card Class Tutorials. This is the	fifth ePaper in the Marbled Paper series. New Mexico Pottery ePaper (Aug 1, 2018) - Use this digital paper to decorate your Picaria Game Board or print it onto fabric to make a small bag for game pieces. Get inspiration for your own paper patterns by looking at the designs on Pueblo Indian pottery. Red and Orange Checks ePaper (Jul 26, 2018) - Use this ePaper to make Rectangular Boxes or other Boxes and Bags. This ePaper coordinates with the XO Repeat ePapers and Triangle Patchwork ePapers. Arabic Floral Pattern ePaper (Jul 18, 2018) - These ePapers are inspired by the intricate repeating patterns found in Arabic tiles. Use these printable digital paper ribbons, Blue-green Arabic Floral Ribbon ePaper and Red-orange Arabic Floral Ribbon ePaper, to decorate your Alquerque Game Board or handmade greeting cards. Use the coordinating ePapers, Blue-green Arabic Floral Pattern ePaper and Red-orange Arabic Floral Pattern ePaper, on the Alquerque Game Board or in any of your paper crafts. Hawaiian Orchid (Jul 11, 2018) - These ePapers are reminiscent of the bright Hawaiian fabrics that feature colorful flowers. Download and print Yellow Orchid, Orange Orchid or Blue Orchid digital papers, the coordinating striped papers: Yellow Orchid Stripes, Orange Orchid Stripes or Blue Orchid Stripes, and the coordinating dotted papers: Yellow Orchid Dots, Orange Orchid Dots or Blue Orchid Dots. Use them to bind Score Pads or Notepads or to make handmade greeting cards like the Double-sided Paper Window Card. 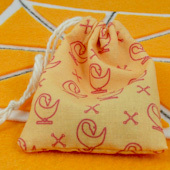 See the Lu-lu, Hawaiian Dice Game craft project to make and play a game from Hawaii! Minimalist Circles ePaper (Jun 20, 2018) - Use this ePaper to make Card for Him greeting cards or to make Boxes and Bags. This ePaper coordinates with the Father's Day gift bag with a minimalist circle design. Fish Scales ePapers (Feb 28, 2018) - The Fish Scales digital papers come in Goldfish, Tropical and Red and continue the fish theme when printed on the backs of the 3-D fish in the Fishing Game. These ePapers coordinate with the Animal Scales ePapers. Use the papers for any animal craft requiring scales—fish, lizards, snakes, armadillos. Fall Leaves on Green ePaper (Nov 1, 2017) - Use this ePaper to make Fall and Winter Quilling Cards, or in any of your fall paper crafts. This ePaper coordinates with the Thanksgiving ePapers, Thanksgiving Ribbon ePaper, Turkey feathers on green ePaper, Maple Leaves ePaper, and Fall Leaves on Cream ePaper. Halloween Candy Corn ePaper (Oct 10, 2017) - Use the Halloween Candy Corn ePaper to make Halloween-themed Four Patch Cards, and then add a pop-up using a printable pattern from the Halloween Pop-Up Cards project. This ePaper coordinates with Aunt Annie's other Halloween ePapers and Ghostly Ghosts ePapers. More Mixed Dots ePapers (Aug 2, 2017) - This set of ePapers is a follow-on to the original Mixed Dots ePapers. Download Mixed Dots in Pink, Mixed Dots in Violet or Mixed Dots in Purple, and enjoy using them in crafts or scrapbooking. See the Sponged Paper Cards tutorial for a card making idea and the Pillow Boxes craft project for a gift box idea. Solid Color Strips for Dot Painting ePapers (Jun 7, 2017) - These colored strips coordinate with Australian Aboriginal Dot Painting ePapers. Use one of these strips to make a Father's Day Cutout Edge Card and combine this with circles cut from an Australian Aboriginal Dot Painting ePaper. Use this printable digital paper to decorate a Card for Him or the money pocket in a Card with Money Pocket. White+ Dots on Blue ePapers (May 3, 2017) - Use the White+Green Dots on Blue, White+Spring Green Dots on Blue and White+Pale Blue Dots on Blue ePapers to make a Pocket Folder for Greeting Cards or to make handmade greeting cards. These ePapers coordinate with the Easter Dots ePapers and Spring Polka Dot ePapers. Flowers and Hearts on Lavender ePaper (Feb 8, 2017) - Use this ePaper to make Valentine Pocket Cards, or any of the Valentine's Day projects. This ePaper coordinates with the Transparent Hearts ePapers. Quad-Hearts on Pink ePaper (Feb 1, 2017) - Use this ePaper to make Appliqué Heart Valentines, in scrapbooking or to make other Valentine's Day Cards. This ePaper coordinates with the Transparent Hearts ePapers. Christmas Trees on Blue ePaper (Dec 21, 2016) - Use this ePaper to wrap gifts and make cards that coordinate with the Christmas Tree Shaped Box. For more Christmas ePapers to download, see Christmas Dots ePapers, Christmas Stripe ePapers, Christmas Dots Paper Ribbon ePaper and Christmas Bears and Bow-ties ePaper. Large snowflakes on blue (Dec 7, 2016) - Use this ePaper to make bags that coordinate with Christmas Pop-Up Cards or line an envelope. This is the	second ePaper in the Winter Blue series, and goes with the Small snowflakes on blue ePaper. Christmas Bears and Bow-ties ePaper (Nov 30, 2016) - Use this ePaper to make Boxes and Bags or to wrap gifts that coordinate with Stenciled Bear Christmas Cards. For more Christmas ePapers to download, see Christmas Dots ePapers, Christmas Stripe ePapers, and Christmas Dots Paper Ribbon ePaper. Maple Leaves ePaper (Nov 23, 2016) - Use this ePaper to make Pillow Boxes, or in any of your fall paper crafts. This ePaper coordinates with the Thanksgiving ePapers, Thanksgiving Ribbon ePaper, Turkey feathers on green ePaper, and Fall Leaves on Cream ePaper. Turkey feathers on green ePaper (Nov 2, 2016) - Use this ePaper to make Envelopes for Thanksgiving Pop-Up Cards, or in any of your fall paper crafts. This ePaper coordinates with the Thanksgiving ePapers, Thanksgiving Ribbon ePaper, and Fall Leaves on Cream ePaper. Latvian Design ePapers (Aug 10, 2016) - These ePapers feature Latvian-inspired weaving designs in red, green and blue. Use the ribbons in a simple gift wrap for Leather Keychain Fobs, to decorate handmade greeting cards, or with the Latvian puppets in the Toilet Paper Tube Puppets craft project. These ePapers coordinate with the Latvian Designs Ribbon ePaper. Squiggly Fish ePapers (Jul 27, 2016) - These ePapers feature doodles of Squiggly fish in red and orange, Squiggly fish on blue, and Squiggly fish on cyan. Use them to make Bookmark Cards or in any of your card-making. These ePapers coordinate with the Fishy Squiggle ePapers. Christmas Dots ePapers (Dec 2, 2015) - Use the Christmas Dots ePaper, Christmas Red Dots and Christmas Green Dots ePapers to make Christmas Tree Shaped Boxes or matching Gift Wrap. These ePapers coordinate with the Christmas Stripe ePapers and Christmas Dots Paper Ribbon ePaper. Thanksgiving Ribbon ePaper (Nov 25, 2015) - Use these paper ribbons to make quick napkin rings, in handmade greeting cards, or in scrapbooking or other paper crafts. This ePaper coordinates with the Thanksgiving ePapers. Fall Leaves on Cream ePaper (Nov 4, 2015) - Use this ePaper to make Envelopes for Thanksgiving Pop-Up Cards, to make Fall and Winter Quilling Cards, or in any of your fall paper crafts. This ePaper coordinates with the Fall Leaves on Green ePaper and Thanksgiving ePapers. Birthday Dots on Blue ePaper (Oct 28, 2015) - Use this ePaper to make a birthday Card with Money Pocket. There are many ways to create and decorate a birthday card with this ePaper and coordinating	Happy Birthday ePapers, Birthday Presents ePaper and Stars and Confetti ePaper. Halloween Assortment ePaper (Oct 14, 2015) - Use the Halloween Assortment ePaper with cutouts from Halloween Suncatchers to make quick greeting cards or in your other Halloween crafting. This ePaper features designs from Aunt Annie's other Halloween ePapers and Ghostly Ghosts ePapers. Circus Diamond and Arrow Paper (Sep 30, 2015) - Use this printable digital paper to decorate accessories for the crafts in the Under the Big Top series, in handmade greeting cards, or any paper craft. This ePaper coordinates with the Circus Paper Ribbons digital download. XO Repeat ePaper (Sep 16, 2015) - Use these ePapers, XO Repeat Red and XO Repeat Mauve, to make embellishments for Four Patch Cards or in any of your card-making. These digital papers coordinate well with the Triangle Patchwork ePapers and Asante Tribe Symbols ePapers. Stars and Confetti ePaper (Aug 12, 2015) - Use this ePaper to make envelopes for Birthday and Party Pop-Up Cards, or to create French Door Sticker Gift Tags with Birthday Stickers. This ePaper coordinates with the Happy Birthday ePapers and Birthday Presents ePaper. Dot Painting Paper Ribbon ePaper (Jul 22, 2015) - Use this printable digital paper to decorate a Card for Him or the money pocket in a Card with Money Pocket. This ePaper coordinates with other Australian Aboriginal Dot Painting ePapers. Pink Easter Dots ePapers (Feb 20, 2015) - Use the White Dots on Pink, Blue/White Dots on Pink and Violet/White Dots on Pink ePapers to make a Pocket Folder for Greeting Cards or to make handmade greeting cards. These ePapers coordinate with the Easter Dots ePapers and Pastel Polka Dot ePapers. Easter Dots ePapers (April 9, 2014) - Use the Bright Medium Dots, White Dots on Light Blue and White Dots on Light Green ePapers to make Bookmark Cards for Easter or to make other handmade greeting cards. These ePapers coordinate with the Pink Easter Dots ePapers and Pastel Polka Dot ePapers. 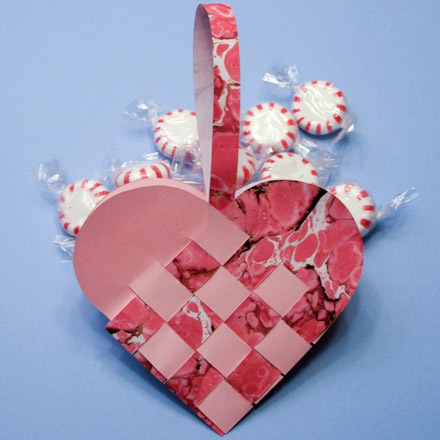 Woven Strips ePapers (Feb 12, 2014) - Use the Red and White Basket Weave, Red and White Plain Weave and Red and White Chevron Basket Weave ePapers to make Woven Heart Valentines, a Valentine Heart Shaped Box or in other Valentine's Day crafts. Valentine's Day Stripes ePaper (Jan 22, 2014) - Use this ePaper to make Appliqué Heart Valentines, in scrapbooking or to make other Valentine's Day Cards. This ePaper coordinates with the Pen 'n Ink Hearts ePapers and Pen 'n Ink Hearts Paper Ribbon. Thanksgiving ePapers (Nov 20, 2013) - The Happy Thanksgiving, Thanksgiving Turkeys and Turkey Fan Tails ePapers can be used to make Thanksgiving greeting cards and name cards or napkin rings for the dinner table. Check out the Thanksgiving & Fall Crafts index for more ideas. Ghostly Ghosts ePaper (Oct 16, 2013) - Use these ePapers with their ghostly ghosts to make Halloween Treat Bags or in your other Halloween crafting. Choose from Creepy Blue Ghostly Ghosts, Eerie Green Ghostly Ghosts and Scary Orange Ghostly Ghosts ePapers. The Ghostly Ghost ePapers coordinate with Aunt Annie's Halloween Candy Corn ePaper and other Halloween ePapers. Birthday Presents ePaper (Oct 2, 2013) - Use this ePaper to make Easy Rubber Stamp Repeat Cards, in scrapbooking or to make Boxes and Bags. This ePaper coordinates with the Happy Birthday ePapers. Latvian Designs Paper Ribbon (Aug 14, 2013) - This ePaper has five "print & cut" paper ribbons with Latvian-inspired designs. Use the ribbons in Gift Wrap, to decorate handmade greeting cards, or with the Latvian puppets in the Toilet Paper Tube Puppets craft project. These paper ribbons coordinate with the Latvian Design ePapers. Australian Aboriginal Dot Painting (Jul 3, 2013) - These ePapers are inspired by the dot paintings of the Australian Aboriginal people. Choose from dot paintings on ochre, green and blue backgrounds. Use these digital papers to make handmade greeting cards, in scrapbooking or to make Boxes and Bags. See the Mini-boomerangs craft project for some Aboriginal crafting fun! For a coordinating downloads, see the Dot Painting Paper Ribbon ePaper and Solid Color Strips for Dot Painting ePapers. Golden Orange Red Plum Dots (Jun 5, 2013) - The Orange Dots on Golden, Red-violet Dots on Orange and Plum Dots on Plum ePapers coordinate with the Golden Stripes ePapers. Use these digital papers to make Double-sided Paper Window Cards, in scrapbooking or to make Boxes and Bags. Banner Ribbons (May 22, 2012) - Use the Blue to Green Banner Ribbons and Red to Violet Banner Ribbons to make banners for handmade greeting cards or to make medallions for sealing a Half-moon Petal Envelopes or Tube-shaped Gift Bags. They can also be used in scrapbooking or in box making. Pen 'n Ink Hearts Paper Ribbon (Apr 10, 2013) - Use this printable digital paper to decorate Easy Gift Bags or handmade greeting cards. This ePaper coordinates with other Pen 'n Ink Hearts ePapers: Pen 'n Ink Hearts on Red, Pen 'n Ink Hearts on Lavender and Pen 'n Ink Hearts on Red-Violet. Golden Stripes (Mar 20, 2013) - The Golden Stripes, Golden Red Stripes and Golden Plum Stripes ePapers coordinate with the Pen 'n Ink Hearts ePapers. Use these digital papers to make Boxes and Bags or to wrap gifts that coordinate with Paper Sunflowers. Transparent Hearts (Feb 5, 2013) - These Hearts on Lavender, Hearts on White and Hearts on Yellow ePapers coordinate with the Valentine's Day Pop-Up Cards and can be used to make a Valentine Heart Shaped Box or any Valentine's Day Crafts. Pen 'n Ink Hearts (Jan 30, 2013) - Use these Pen 'n Ink Hearts on Red, Pen 'n Ink Hearts on Lavender and Pen 'n Ink Hearts on Red-Violet ePapers to make Valentine's Day Pop-Up Cards or any other handmade greeting cards or in your crafts. Yellow, Orange and Blue Diamonds ePapers (Jan 16, 2013) - The YOB Diamonds, YOB Diamonds with Arrows and Blue Diamonds on YOB Diamonds ePapers are inspired by the circus-themes in the Under the Big Top craft series. The digital papers can be used to make circus accessories, handmade greeting cards or the Half-moon Petal Envelope. Stars on Red and Blue ePapers (Jan 9, 2013) - Use these White Stars on Red, White Stars on Blue and Yellow Stars on Red ePapers to make accessories for the crafts in the Under the Big Top series, in scrapbooking or other crafts. Circus Paper Ribbon ePaper (Jan 2, 2013) - Use this printable digital paper to make circus rings for the crafts in the Under the Big Top series, in handmade greeting cards, or any paper craft. Christmas Dots Paper Ribbon ePaper (Dec 19, 2012) - Use this printable digital paper in any Christmas Craft. These paper ribbons coordinate with Christmas Dots ePapers and Christmas Stripes ePapers: red and green stripes, green stitched stripes or red stitched stripes. Mixed Dots ePapers (Nov 7, 2012) - Each paper includes full-size and half-size (50%) downloads. The Mixed Dots (50%), Mixed Blue Dots (50%) and Mixed Green Dots (50%) ePapers can be used in crafts or scrapbooking. See the Sponged Paper Cards tutorial for a card making idea and the Pillow Boxes craft project for a gift box idea. Check out Mixed Dots in more colors! Halloween ePapers (Oct 31, 2012) - The Ghosts on blue, Bats on orange and Jack-o'-lanterns and bats on blue ePapers coordinate with the Halloween paper ribbons in the Halloween Cone Hats project and with the Halloween Candy Corn ePaper. Halloween ePapers (Oct 17, 2012) - The Jack-o'-lanterns on yellow, Bats on blue and Jack-o'-lanterns and bats ePapers coordinate with the Halloween paper ribbons in the Halloween Cone Hats project. Red and Green Checkerboard Border ePaper (Sep 26, 2012) - Use the Merry Christmas Checkerboard Border ePaper and Plain Checkerboard Border ePaper to make cards similar to the sample card in the Ribbon Edge Christmas Cards tutorial or in gift wrapping and scrapbooking. These papers coordinate with the Christmas Stripes ePapers. Spring Dots Paper Ribbon ePaper (Aug 29, 2012) - Use this printable digital paper to decorate a Pocket Folder for Greeting Cards or handmade greeting cards. This ePaper coordinates with other Spring Polka Dots ePapers: Spring Green Dots, Pale Yellow Dots and Pale Blue Dots. Animal Scales ePapers (Aug 22, 2012) - The Animal Scales digital papers come in Blue, Green and Pink and add a nice touch when printed on the backs of the Cardstock Animal Bookmarks. Use the papers for any animal craft requiring scales—fish, lizards, snakes, armadillos. For scales in other colors, see the Fish Scales ePapers. Harlequin Diamonds ePapers (Aug 15, 2012) - The Pink Harlequin Diamonds, Orange Harlequin Diamonds and Multi-color Harlequin Diamonds ePapers coordinate with the boxes in the Diamond Box project. Marbled Strips (Jul 25, 2012) - Use this ePaper to make the edge background for the Cutout Edge Cards or the Scalloped Edge Cards. This ePaper coordinates with other marbled ePapers: Red nonpareil, Red marbled stones, Pink marbled swirls, and Green-blue Marbled Stones. Wild Dots ePapers in violet, red and yellow (Jul 18, 2012) - The Wild Violet and Red Dots, Wild Violet and Red Dots on Yellow and Wild Violet and Red Dots with Yellow Stripe ePapers coordinate with the fish in the 3D Paper Fish project. Ice Cream Syrup Dots ePapers (Jun 27, 2012) - Use the Chocolate Dots, Caramel Dots and Butterscotch Dots ePapers to make Pop-up Birthday Cards or other cards and crafts. Wild Dots ePapers (Apr 11, 2012) - The Wild Purple Dots, Wild Red Dots and Wild Green Dots ePapers coordinate with the flowers in the Spring Flower Bouquet project. Jelly Bean ePapers (Mar 28, 2012) - Use the Happy Easter Jelly Beans, Jelly Beans and Small Jelly Beans ePapers to make the Easter Egg Holders or in making boxes. Shamrock ePapers (Mar 14, 2012) - Use these Shamrocks on Light Green, Shamrocks on Pale Blue and Shamrocks on Medium Green ePapers to make the vases in the Shamrock Centerpiece project or in card making. Spring Polka Dots ePapers (Mar 7, 2012) - Use these Spring Green Dots, Pale Yellow Dots and Pale Blue Dots ePapers to decorate Decoupage Box, to coordinate with Half-moon Petal Envelope or in Easter Crafts. Red and Blue Star ePapers (Feb 29, 2012) - Use these Red Stars, Blue Stars and Red&Blue Stars ePapers to make Scalloped Edge Cards, in scrapbooking or other crafts. Green-blue Marbled Stones (Feb 22, 2012) - Use this marbled ePaper to make paper cuts following the instructions in the Simple Paper Cutting project or any Greeting Card Class Tutorial. This is the	fourth ePaper in the Marbled Paper series. 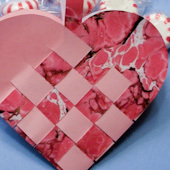 Heart ePapers (Dec 28, 2011) - Use these ePapers featuring hearts to make Valentine Pocket Cards or any other greeting card or box. Christmas Stripe ePapers and Medallions (Nov 30, 2011) - These ePapers feature stripes in red and green for Christmas. Use this ePaper with red and green stripes, green stitched stripes or red stitched stripes to make Christmas Tree Shaped Boxes. You can also make Paper Medallions that coordinate with the ePapers. Huichol-inspired ePapers (Sep 28, 2011) - These ePapers feature symbols used by the Huichol people of Mexico in yarn paintings. Use this ePaper in blue, green or orange as a background for greeting cards. Fishy Squiggle ePapers (Sep 21, 2011) - These ePapers feature doodles of Squiggles with O's, Fishy Squiggles, and Fishy Squiggles with O's in green and blue. Use them to make Bookmark Cards. Black Polka Dots ePaper (Aug 31, 2011) - These ePapers coordinate with the colored box patterns in the Pillow Boxes project. Select any of the three ePapers, Black polka dots on cadet blue, Black polka dots on celadon green, or Black polka dots on light goldenrod yellow, to decorate the boxes or make gift tags. These ePapers are part of the Polka Dot series. Happy Birthday ePaper (Aug 24, 2011) - Use these ePapers, Happy Birthday Balloons and Gifts and Happy Birthday on Blue, as a background for an Embossed Greeting Card or other card featured in the Greeting Card Class tutorials. Or print to cardstock and make a box to hold your birthday gift. Cool Color Polka Dots ePaper (Jul 27, 2011) - These ePapers coordinate with the colored box patterns in the Flared Boxes project. All three ePapers, Blue polka dots, Purple polka dots and Violet polka dots, are on a white background. These ePapers are part of the Polka Dot series. Sunny Gingham Check ePaper (Jul 20, 2011) - Use these checked ePapers, Red-orange gingham check, Orange gingham check and Yellow gingham check, to make Paper Weaving Greeting Cards or other Greeting Cards. They also make up nicely into Easy Gift Bags. Clouds in blue sky (Jun 22, 2011) - Use this marbled ePaper to make Appliqué Greeting Cards or as a background for other Greeting Cards. Abstract in red, yellow and orange (Jun 22, 2011) - Use this marbled ePaper to make Appliqué Greeting Cards or other Greeting Cards. Pink marbled swirls (Jun 15, 2011) - Use this marbled ePaper to make Rectangular Boxes or other Box project. This ePaper is also available in higher quality. This is the	third ePaper in the Marbled Paper series. Pastel Polka Dot ePaper (May 4, 2011) - Make a set of Geometric Solids using these polka dot ePapers: light blue dots, light green dots and pink dots. Or use them in your scrapbooking. These ePapers coordinate with the Easter Dots ePapers and Pink Easter Dots ePapers. Checked Yellow Flower (Apr 27, 2011) - Use this ePaper to make Repeat Cards or in scrapbooking or in your favorite craft project. This is the	first ePaper in the Repeating Flowers series. Pink Fruitade ePaper (Mar 9, 2011) - Use these fruity ePapers to make or decorate Easy Gift Bags or in scrapbooking or card making. Select from Pink Lemonade, Pink Orangeade, or Pink Limeade. These ePapers are part of the Polka Dot series. Red nonpareil marbled paper (Feb 23, 2011) - Use this marbled ePaper for Four Patch Cards or one of the Valentine projects. This ePaper is also available in higher quality. This is the	second ePaper in the Marbled Paper series. Small snowflakes on blue (Feb 16, 2011) - Use this ePaper to make a Paper Snowflake or line an envelope. This is the	first ePaper in the Winter Blue series. Little Red Hearts (Feb 9, 2011) - Use this ePaper to make a Little Gift Box or any of the	Valentine's Day projects. This is the	first ePaper in the Holiday Repeat series. Red marbled stones (Feb 2, 2011) - Use this marbled ePaper to make Valentine Baskets or other Valentine project. This ePaper is also available in higher quality. This is the	first ePaper in the Marbled Paper series. Red dots (Jan 26, 2011) - Use this ePaper to make Valentine Suncatchers or other Valentine project. This is the	second ePaper in the Polka Dot series. Pink dots (Dec 4, 2010) - Print these pink dots on cardstock and make a Little Gift Box or print it on paper and make an envelope. There are a myriad of uses for this simple ePaper. This is the	first ePaper in the Polka Dot series. Notepad Sleeve (July 31, 2013) - This pattern makes a sleeve that fits Recycled Paper Notepads and greeting cards that are 4¼" x 5½", like those featured in Greeting Card Tutorials. Envelope for Shaped Valentines (Jan 17, 2011) - This pattern makes a simple envelope that is 5 1/8" by 4 1/4" (13 cm by 10cm). They are designed to fit the Heart Shaped Cards. Sheet of Six Valentines (Jan 19, 2011) - Full sheet of easy to make circus seal valentines - cut, fold, glue. Also available as a printable ready to color. Square Envelope for Half-moon Petal Envelope (Apr 6, 2011) - This pattern makes a square envelope that is designed to fit the Half-moon Petal Envelope so it can be mailed. Please note that square envelopes require extra postage. Leaf Patterns (Oct 5, 2011) - This pattern includes oak, maple and sweet gum leaves. Print the pattern to colored paper, cut out the leaves, and add a hanger. Use the leaves to decorate around the house or use them in your craft projects. These leaves look great hung in the window with the Halloween Suncatchers. Halloween Hat Bands (Oct 12, 2011) - A printable page of 1-inch wide bands with Jack-O-Lanterns, bats and ghosts. Use the the bands to decorate Halloween Cone Hats or treat bags, and to wrap around party favors. These bands are a quick and easy way to decorate crafts for Halloween. Leaf Template Patterns (Oct 26, 2011) - This printable page includes templates for aspen, maple, oak and sweet gum leaves. Print the pattern to cardstock and cut out the templates. To use, place a template along a folded edge, trace and cut out. Open the folded paper to reveal a leaf shape. Use the pattern to make Leaf Silhouette Cards. Heart Template Patterns (Oct 30, 2013) - This printable page includes templates for four styles of hearts in three sizes. Print the pattern to cardstock and cut out the templates. To use, place a template along a folded edge, trace and cut out. Open the folded paper to reveal a heart shape. Use the pattern to make cards like those in the Leaf Silhouette Cards tutorial. Shamrock Silhouette Templates Pattern (Mar 11, 2015) - This printable page includes templates for four styles of shamrocks in three sizes that are perfect for card making. Print the pattern to cardstock and cut out the templates. To use, place a template along a folded edge, trace and cut out. Open the folded paper to reveal a shamrock shape. Use the pattern to make cards like those in the Leaf Silhouette Cards tutorial. Shamrock Templates Pattern (Mar 5, 2014) - This printable page includes templates for four sizes of shamrocks. Print the pattern to cardstock and cut out the templates. Use the templates to cut shamrocks for your St. Patrick's Day decorating or cardmaking. For example, make a banner using shamrock decorated flags by following the step-by-step instructions in the Shamrock Flag Banner craft project. Pine Tree and Bell Patterns (Dec 6, 2017) - This pattern include several sizes of traceable pine tree and bell shapes. Use the shapes as templates for cutting backgrounds and mats for Recycled Cards or any handmade greeting card. Oval Patterns and Star Patterns (Nov 14, 2011) - These patterns include two styles and several sizes of traceable oval and star shapes. Use the oval and star shapes as templates for cutting backgrounds and mats for Recycled Cards or any handmade greeting card. Mother's Day stickers and tags (Apr 23, 2014) - Use this printable with colorful, dotted medallions on stickers and tags to make Pocket Cards for Mother's Day, in your Mother's Day gift wrapping or to decorate for Mother's Day. You could even make a mini-banner for Mother's Day by printing on cardstock and stringing the "Happy Mother's Day" medallions on yarn or string. Father's Day stickers and tags (Jun 17, 2015) - Use this printable with colorful stickers and tags to enhance your Father's Day gifts. Seal Father's Day Gift Bags closed with a sticker and attach the tags to any package for Dad. For coordinating digital papers, download and print the Australian Aboriginal Dot Painting ePapers. All Aunt Annie's Crafts project patterns and ePapers are Adobe PDF files. The Adobe Reader is available for free. The project patterns and ePapers are designed to be printed on standard letter size paper (8.5"x11" or A4). When printing from Adobe Reader you may need to select Auto-Rotate and Center or Choose paper source by PDF page size to ensure the best fit. Tip: The ePapers can be printed onto fabric to make things like this small bag for game pieces. Tip: Print ePaper onto white paper and use it to make crafts like this Woven Paper Basket.